Create an everlasting memory by celebrating the life of your loved one at sea. An attended memorial service allows family and friends to gather and celebrate their loved one as they are laid to rest at sea. Our goal is to eliminate as much stress as possible by customizing each memorial service to meet your specific needs. We want our vessels to feel like your own. You can bring your own food and drinks aboard. The vessel will be provisioned with bottled water, flowers for the ceremony, and upon request, can have a pre-determined playlist created for you. 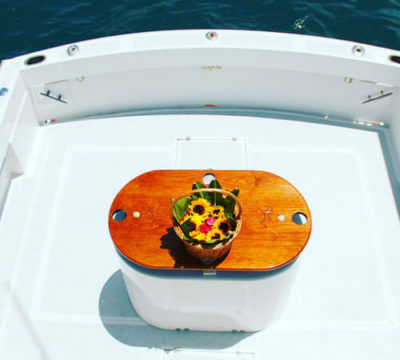 The cremated remains will be placed in a beautiful basket lined with tea leaves and covered in flowers, the captain will lower the basket overboard where the family can continue with their desired memorial service. .Upon boarding the vessel, the captain and crew will be introduced and a brief tour of the vessel & safety precautions will take place. .You can blue tooth your own music and bring your own food & beverage aboard. Vessel will have waters aboard. .There, the motors will be turned off, and while the vessel is at rest, you can proceed with your desired memorial service. .The ashes are placed in a basket lined with tea leaves and covered with flower pedals. The captain or deckhand will lower the basket in the ocean to your loved ones final resting place. .Whether you have a clergy aboard, wish to play your own music, reflect on special memories, or simply sit in silence, the captain will ensure that your requests are met to the best of his/her ability. The captain can accommodate you if a thoughtful disposition or bible passage is requested. The captain has a professional grade camera aboard and is at your service to capture a group photo. .Upon the ashes being scattered and having time to reflect, the vessel will circle around the sea burial site two times as respectful recognition of the deceased, before heading back into shore. .The Captain will document the exact Global Position System (GPS) coordinates where the disposition took place. The family will be provided with an official certificate and plaque which states the GPS coordinates. 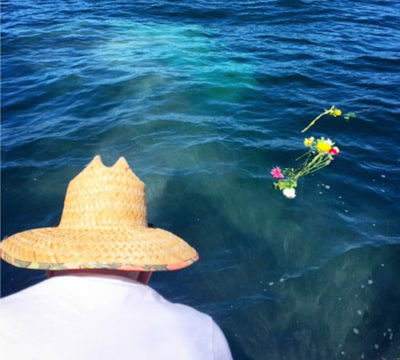 This allows the family to re-visit their loved ones Sea Burial site in the future. 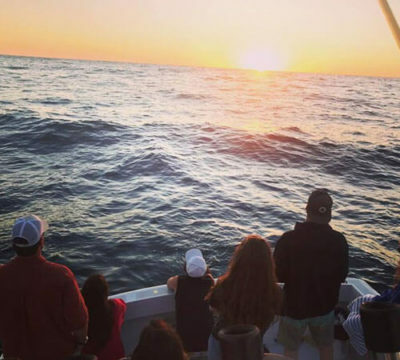 .Average Charter time- 2 Hours, our vessel can hold 6 guests. Please see our page “Cremation Information” to obtain the necessary documentation to scatter at sea.